Luxuriously crafted and engineered for performance, these Hunter EQ “Slim Line” Fillis Stirrups are sleek and beautiful. 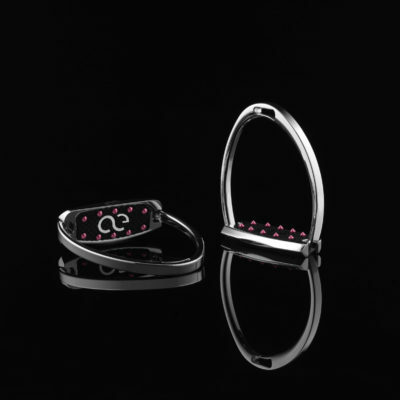 Add some tech to your Equitation. 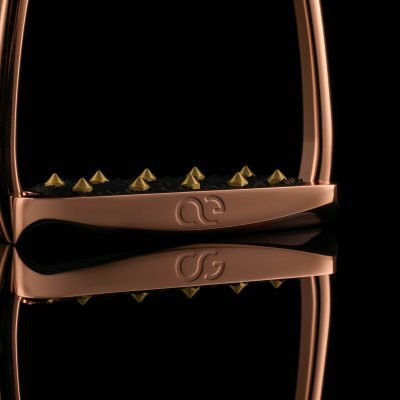 The Hunter EQ Slim FILLIS English stirrups blend our patent pending Traction Pin footbed design with the look of a traditional “Fillis” stirrup. 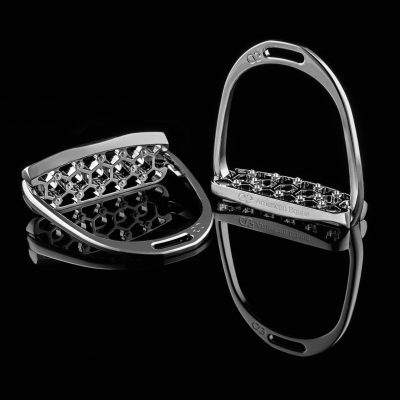 Our footbed system naturally eases knee, ankle and foot pressure with our unique ramp-in design. 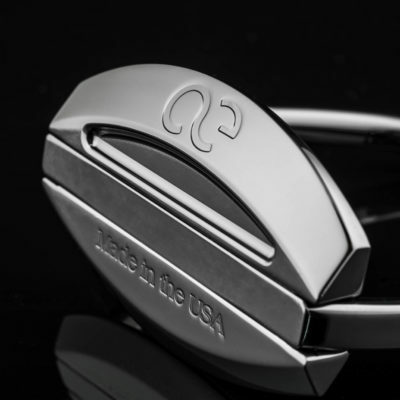 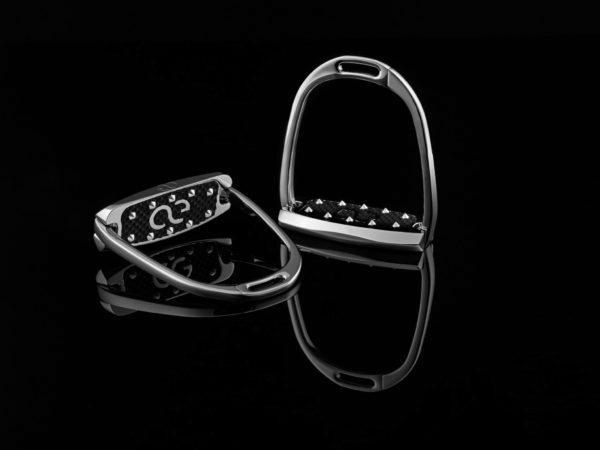 In addition, our patent-pending proprietary traction pin system secures your foot and provides for an unparalleled connection to the base of the stirrup. 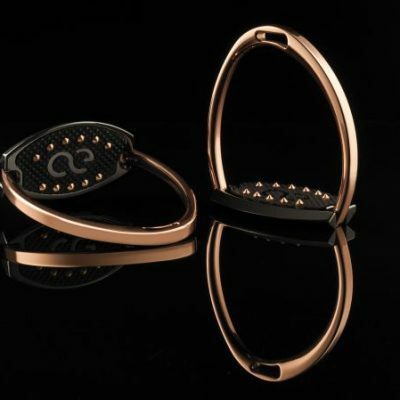 The slim base of the foot bed helps you to achieve optimum balance while absorbing concussion to the ball of your foot. 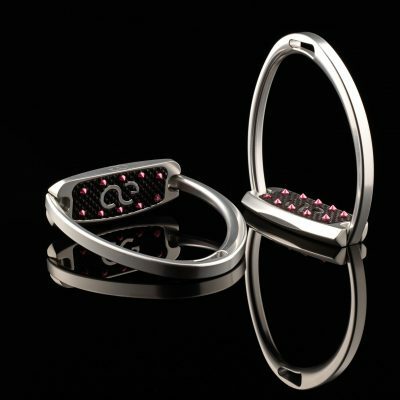 The solid 6061 Aircraft Aluminum construction provides an incredibly safe ride with a 3000 lb per sq.in. 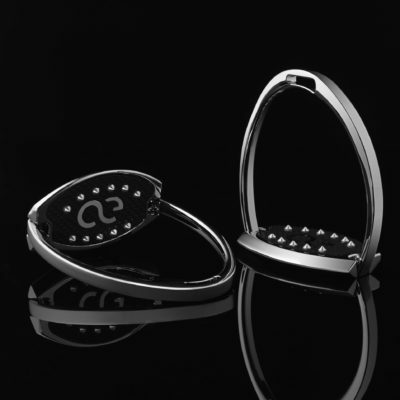 lateral crush strength protecting your feet against possible injury in the event of an accident. 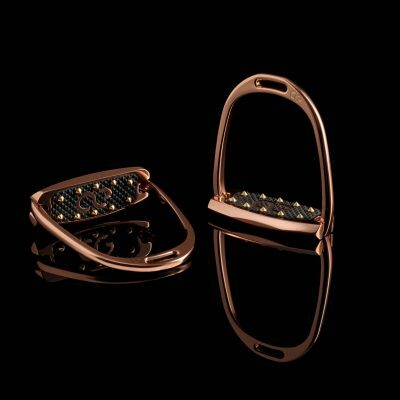 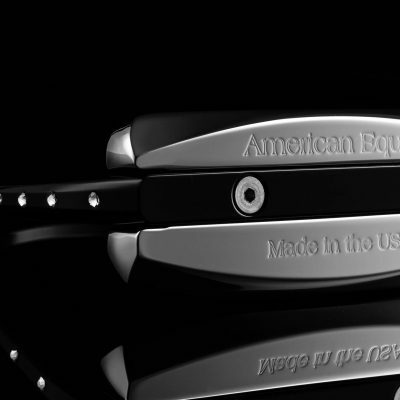 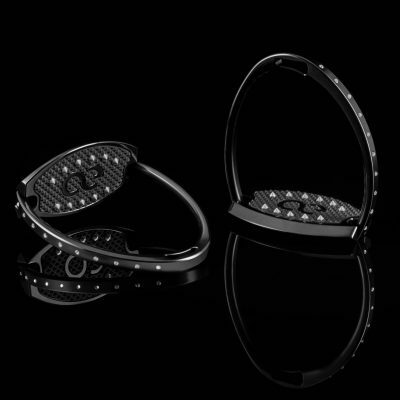 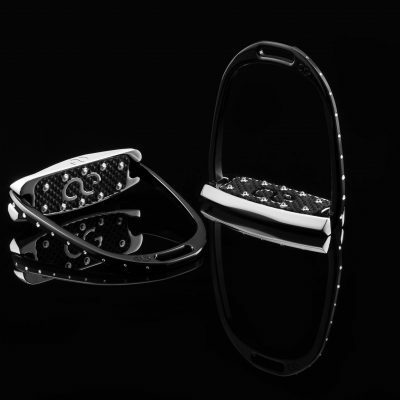 Each stirrup is hand-polished to a mirror like surface then Show Chromed for a luxurious, durable and lustrous finish.